Holy smokes! 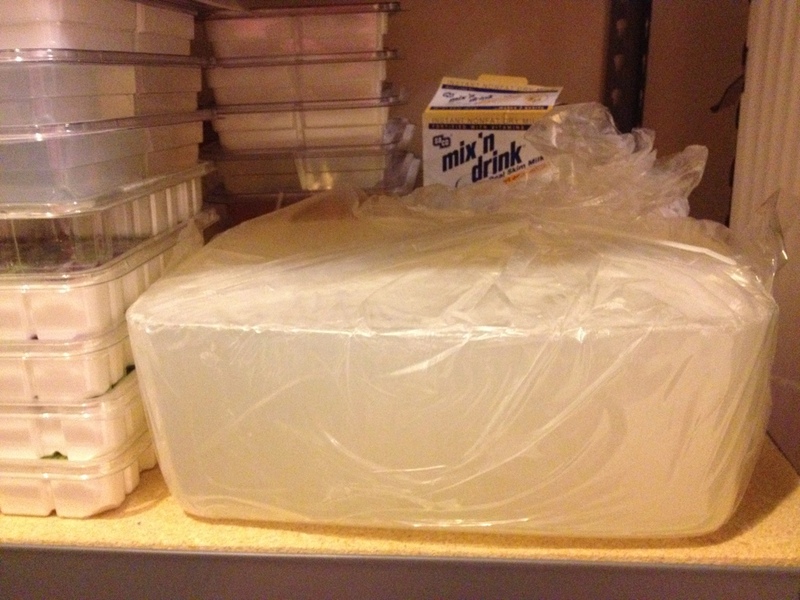 That’s a big block of soap base! *grin* I meant to post this earlier. I got this big ol’ boy a bit back since I got tired of constantly ordering the little 2 lb trays (like the stack to the left of my block, for comparison). I can barely lift the thing, so cutting it will be interesting *grin* Suddenly I feel official though. Lol.